Whichever car wins the 2013 European Car of the Year title, it won’t be nearly as surprising as the past two winners. The 2012 champ was the Chevrolet Volt (along with its Ampera twin) while 2011 saw triumph for the Nissan Leaf. The Leaf was the first electric car ever to be in contention, and similarly the Volt’s award was a watershed for range-extender electric technology. Both proved to be contentious, love-them-or-loathe them winners, with the cars scoring either very high or very low marks from the various judges scattered across Europe. This year’s shortlist contains some very good and interesting cars, but they all look a little ordinary in comparison. No doubt victory this time around will come through a greater degree of consensus. Plus, of course, the usual heavy hints of jingoism that very often put a car with a European brand on the plinth. 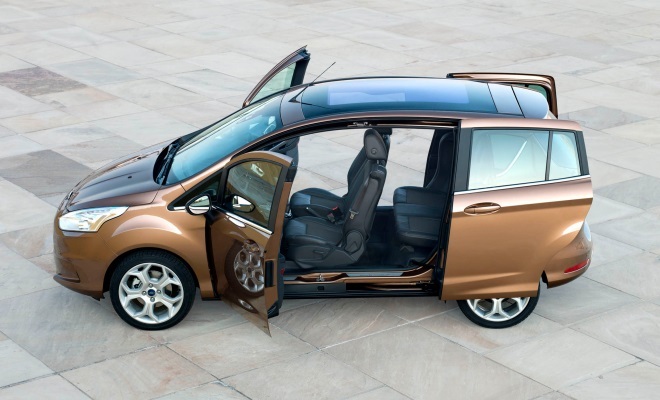 Ford’s B-Max is arguably the most radical of the eight cars shortlisted, having eliminated the need for a central body pillar through ingenious design and judicious use of high-strength steel. The body is both stiff and safe despite the big opening in the middle, which should prove a boon to the target market of busy young families. 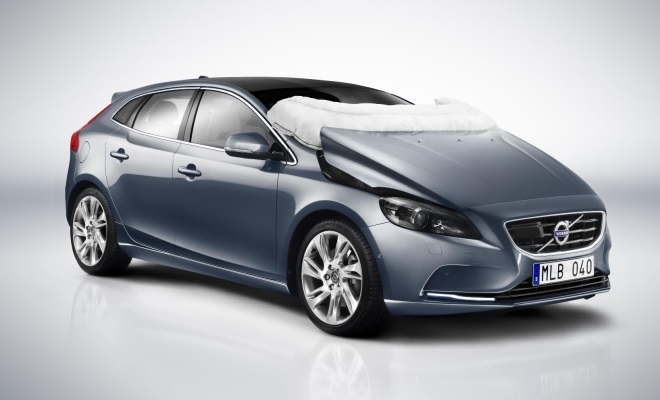 The Volvo V40 also stands out for its pioneering introduction of an under-bonnet airbag, designed to cushion the heads of unfortunate pedestrians. I drove the car a few months ago and absolutely loved its combination of frugality, comfort, style and personality. 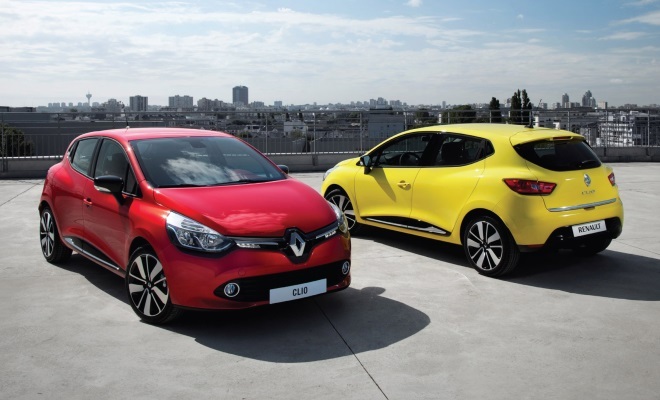 The new Renault Clio range seems to have earned its shortlisting, much like the rest of the finalists, by broadly pushing on with the state of the art. Wider, longer and more capacious than the outgoing model, the new Clio is nonetheless more miserly with its fuel. Renault offers both a petrol and a diesel model with a CO2 rating below 100g/km – as low as 83g/km for the diesel dCi 90 ECO. This feat has been enabled by new engines, a lowered roofline, and weight savings of up to 100kg compared with the previous Clio. The new Volkswagen Golf offers a virtually identical story – bigger but lower, up to 100kg lighter, and with a diesel BlueMotion edition due in the summer that will trim CO2 down to just 85g/km. 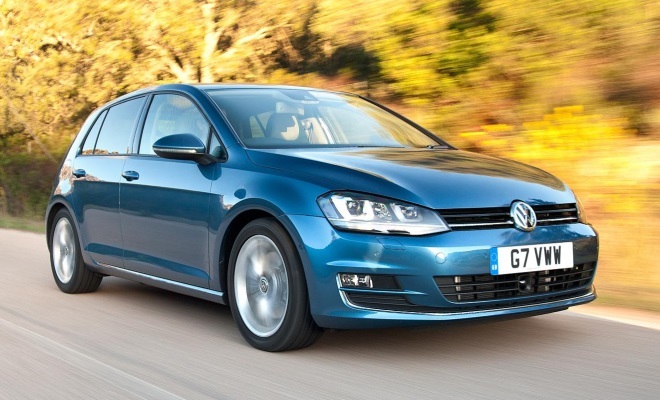 As with previous incarnations of this carefully evolved people’s car, the Golf will win fans through the broad quality of its execution rather than a single standout feature. 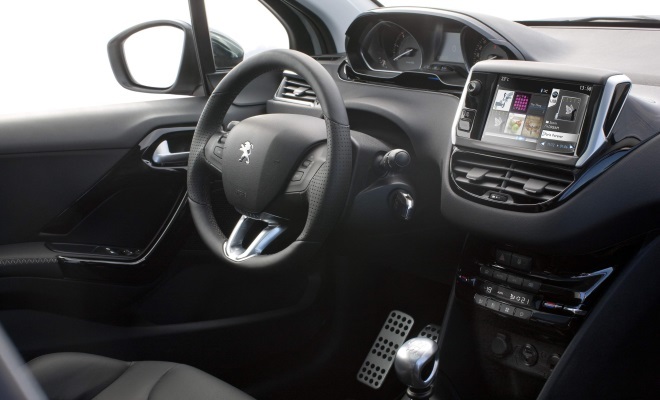 Peugeot’s 208 is also a tidy and persuasive replacement for the 207, although its cabin would never be mistaken for that of a VW. The new Pug is most noticeable, perhaps, for featuring a tiny shirt-button of a steering wheel with the instruments mounted high up so that the driver views them over the top of the wheel rather than through the middle. I’ve driven the hot-hatchish 1.6 THP and didn’t much like it, I have to say, due to its skittish handling. I’d probably prefer the 1.6 e-HDi diesel, which combines 92bhp with 98g/km. 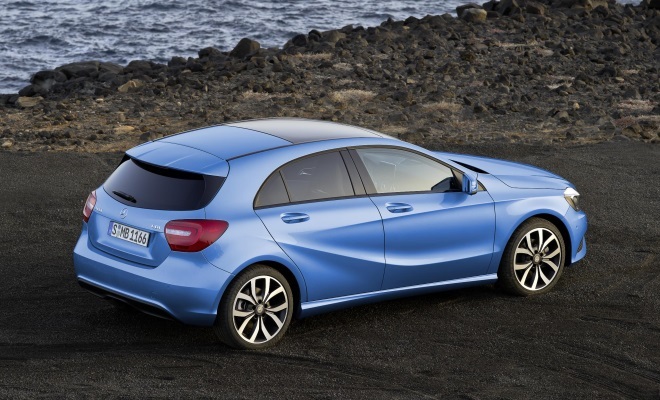 Mercedes’ appealing new A-Class is sure to do well in the judging, despite an underlying timidity in its design and a little too much me-too in its conception. There’s plenty of appetite for a compact hatchback carrying a three-pointed star, and the car looks sharp both inside and out. The manual A180 edition sounds like a decent green motor, offering 109bhp and 98g/km in manual trim. The automatic version of the same is off the pace though, bringing an 11g/km penalty where a modern twin-clutch box might offer an improvement. 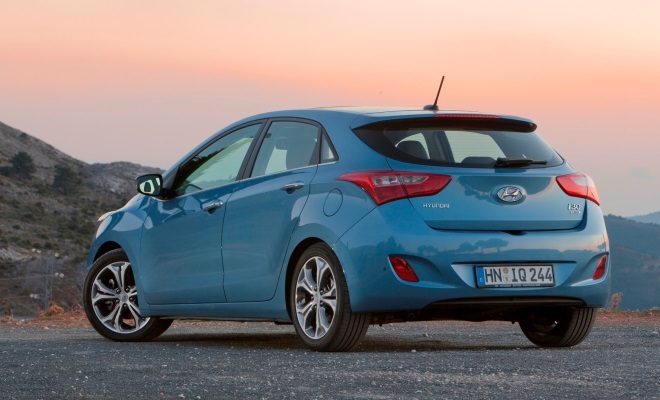 Hyundai’s strong-selling i30 probably starts with a disadvantage because it’s already a fairly familiar sight, having gone on sale in the first quarter of 2012. The range includes a 97g/km Blue Drive model that at £16,895 is one of the cheaper new cars of its size to limbo under 100g/km. 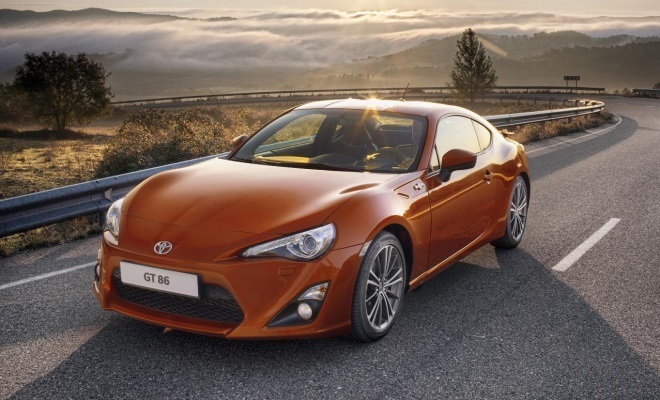 An entirely different value proposition is on offer from the Toyota and Subaru joint development that produced the GT86 and BRZ – a pair of lightweight, rear-drive sports cars that are sure to gain lots of approval from the judges. Cars with a tendency to travel sideways always seem to be inordinately popular among motoring journalists. I have personal experience of only a couple of the finalists, so I’m not really qualified to judge. But that doesn’t stop me sticking my neck out and having a good old fashioned guess. I’d like to see the V40 or B-Max named car of the year, but I don’t think either will carry the vote. I predict the thoroughly tweaked and polished Golf will come out on top.